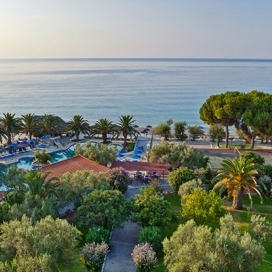 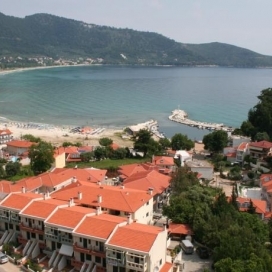 Почивка в Atrium Hotel - Chalkidiki, Халкидики - Касандра, на цена от 47.00 лв. 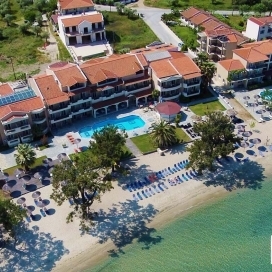 All the 124 rooms are equipped with air conditioning (July/August), bathroom, telephone, fridge, heating, radio, Sat-TV, hairdryer, balcony/terrace with sea side view or mountain view. 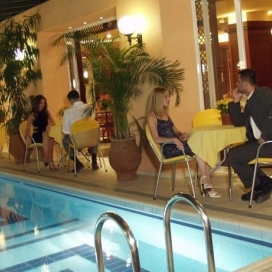 At Atrium hotel the prompt service and the friendliness of its staff will make guests feel at home.